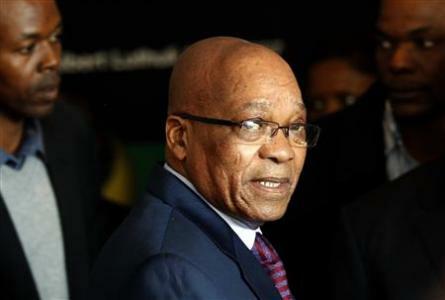 Litigation against Zuma is not for political purposes: DA - SABC News - Breaking news, special reports, world, business, sport coverage of all South African current events. Africa's news leader. The opposition parties filed court papers in late March, asking that a 2006 agreement the Presidency had signed over legal costs Zuma incurred for his criminal prosecution be set aside. The Democratic Alliance (DA)’s James Selfe says his party taking prominent persons to court is not politically motivated. Selfe was commenting outside the North Gauteng High Court in Pretoria following the conclusion of arguments in the application of his party and the Economic Freedom Fighters (EFF) to review and set aside the agreement between the Presidency and former president Jacob Zuma to cover his legal costs. Zuma’s lawyer advocate Thabani Masuku told the court that the application that DA and EFF had brought was politically-motivated. “We were not playing politics there. We were seeking to work out what is it to be a fit and proper person in that particular position. And in just the same way here we are not bringing this litigation against Mr Zuma for political purposes,” adds Selfe. This entry was posted on 08 Nov 2018,07:00AM at 7:00 AM and is filed under Politics, Homepage Latest Stories Slider. You can follow any responses to this entry through the RSS 2.0 feed. Both comments and pings are currently closed.